Nicklas TA, O’Neil CA, and Fulgoni V Consumption of 100% fruit juice is associated with better nutrient intake and diet quality but not with weight status in children: NHANES 2007-2010; 2015, International Journal of Child Health and Nutrition. May 2015; 4: 112-121. Crowe-White K, O’Neil CE, Parrott JS, Benson-Davies S, Droke E, Gutschall M, Stote KS, Wolfram T, Ziegler P. Impact of 100% fruit juice consumption on diet and weight status of children: an evidence-based review. Critical Reviews in Food Science and Nutrition. (2016); 56:871–884. O’Neil CE and Nicklas TA “Childhood obesity and the consumption of 100% fruit juice: Where are the evidence-based finding?” Fructose, High Fructose Corn Syrup, Sucrose and Health Ed. James M. Rippe. Orlando FL: Springer: Humana Press, 2014, 247-275. Auerbach BJ, Wolf FM, Hikida A, Vallila P, Buchman A, Littman DT, Louden D, Taber DR, Krieger J. Fruit juice and change in BMI: a meta-analysis. Pediatrics 2017;139(4):e20162454. Bhagwat S, Haytowitz D. USDA Database for the Flavonoid Content of Selected Foods Release 3.2. In. Beltsville, MD: United States Department of Agriculture; 2015. Diane L. McKay, C.-Y. Oliver Chen, Carly A. Zampariello, Jeffrey B. Blumberg, Flavonoids and phenolic acids from cranberry juice are bioavailable and bioactive in healthy older adults, Food Chemistry, 2015; 168:233-240, https://doi.org/10.1016/j.foodchem.2014.07.062. Higdon J, Drake V, Delage B. Flavonoids. Micronutrient Information Center. Available at: http://lpi.oregonstate.edu/mic/dietary-factors/phytochemicals/flavonoids. McKay DL, Oliver Chen CY, Zampariello CA., et. al. Flavonoids and phenolic acids from cranberry juice are bioavailable and bioactive in healthy older adults, Food Chemistry, 2015; 168:233-240, https://doi.org/10.1016/j.foodchem.2014.07.062. Vitamin C – Fact Sheet for Health Professionals. NIH Office of Dietary Supplements. 2018. https://ods.od.nih.gov/factsheets/VitaminC-HealthProfessional/. Vitamin A – Fact Sheet for Health Professionals. NIH Office of Dietary Supplements. 2018. https://ods.od.nih.gov/factsheets/VitaminA-HealthProfessional/. Food Composition Databases . United States Department of Agriculture – Agricultural Research Service. https://ndb.nal.usda.gov/ndb/search/list. Food Composition Databases. United States Department of Agriculture – Agricultural Research Service. https://ndb.nal.usda.gov/ndb/search/list. Folate – Fact Sheet for Health Professionals. NIH Office of Dietary Supplements. 2018. https://ods.od.nih.gov/factsheets/Folate-HealthProfessional/. 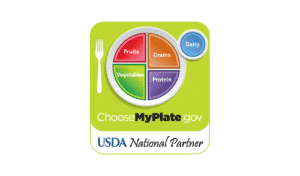 Food and Nutrition Information Center – Magnesium. USDA National Agricultural Library. 2018. Available at: https://www.nal.usda.gov/fnic/magnesium. Food Composition Databases . United States Department of Agriculture – Agricultural7.Research Service. https://ndb.nal.usda.gov/ndb/search/list. Vitamin K – Fact Sheet for Health Professionals. NIH Office of Dietary Supplements. 2018. https://ods.od.nih.gov/factsheets/VitaminK-HealthProfessional/. Münzel T, Daiber A, Inorganic nitrite and nitrate in cardiovascular therapy: A better alternative to organic nitrates as nitric oxide donors?, Vascular Pharmacology, 2018; 102: 1-10. https://doi.org/10.1016/j.vph.2017.11.003. Tomatoes, other foods containing lycopene may protect against prostate cancer, study finds. 2016. http://www.aicr.org/press/press-releases/2016/tomatoes-other-foods-containing-lycopene-may-protect-against-prostate-cancer-study-finds.html.